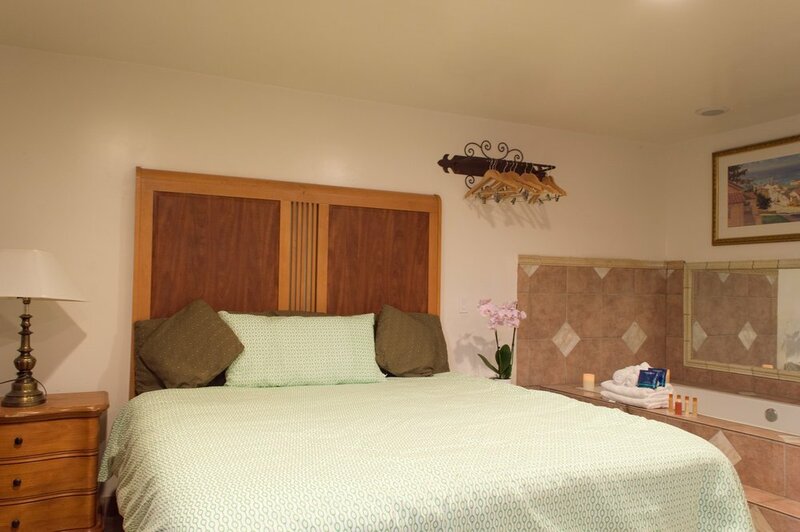 Our King Spa Beach Rentals have been completely remodeled and refurnished. 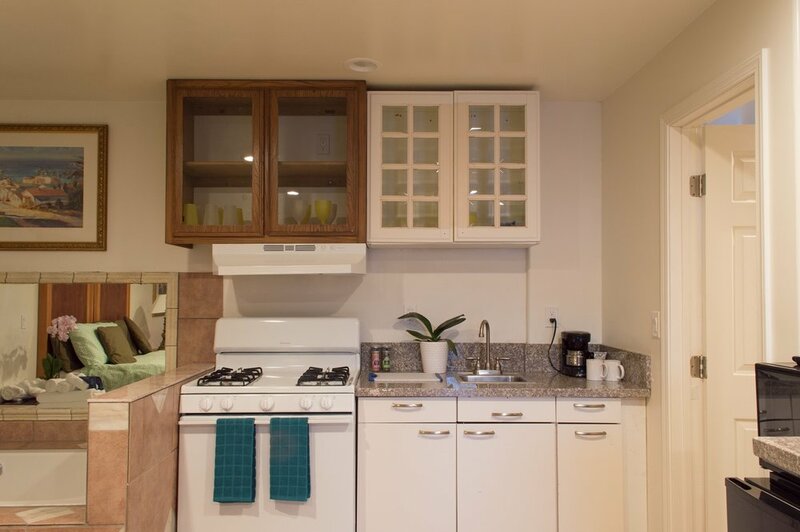 These Ground Floor Studio Apartments feature a Full Kitchen and Bistro Table. 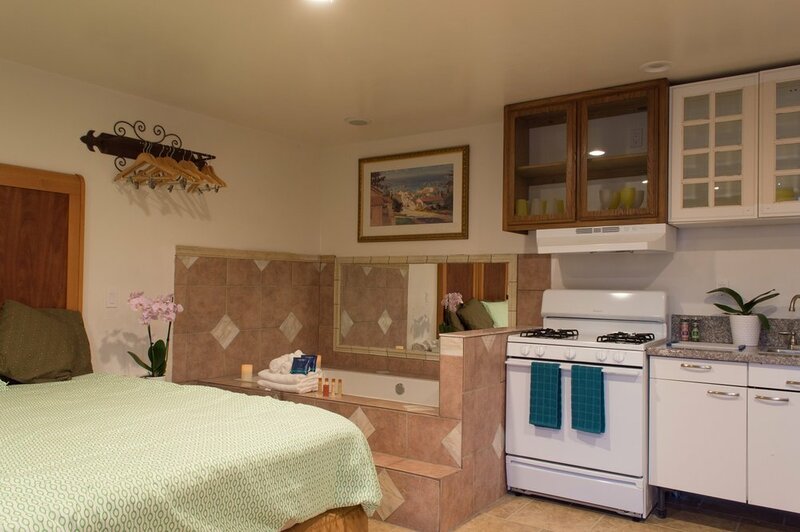 Relax and enjoy the Large Spa Tub or the beautifully custom tiled bathroom shower with spa tub, Fluffy White Towels and Baronessa Cali Tarocco Silician Red Orange bath amenities.